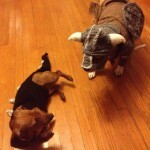 Did you see last week’s post about crocheted Skyrim dog cosplay and wish you could get in on the action? Well now you can! 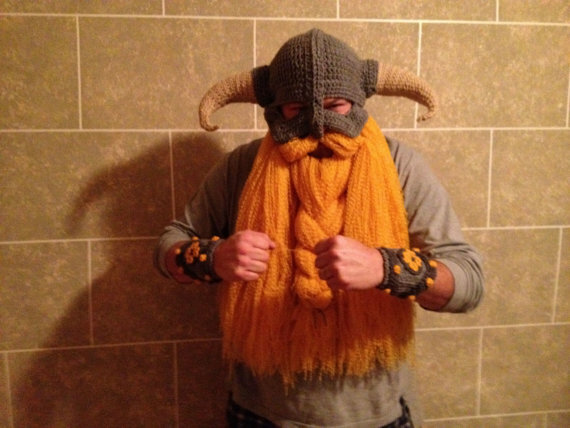 Etsy seller LegendaryCrafts is selling these made to order crocheted Skyrim inspired helmet with a beard and bracers for $125 (free shipping inside the US). Currently, the turn around time on this awesome creation is 10-12 weeks if you decide to order one. Given that turn around time, I would order one now if you are wanting one anytime soon (relatively speaking). 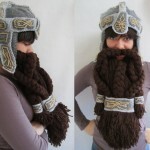 It would definitely make a good start to a Halloween costume!